Ordinary liquid or solid soap is another skin care product that often contains a lot of chemical substances. 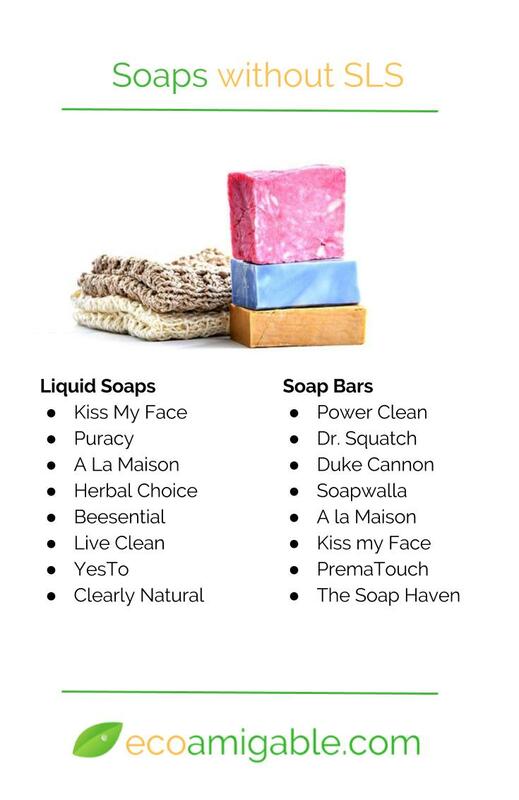 In this article we look at SLS (Sodium Lauryl Sulfate) and Parabens in particular and give you a list of paraben and sls free soap products. What is SLS doing in Soap? Sodium Lauryl Sulfate is a foaming agent but also a surfactant. That means it is also a chemical substance that reduces the surface tension in water. In terms of soap this characteristic is used to break up the natural oils on your skin and make it easier to wash and clean the skin. However, SLS is a harsh chemical for your skin and can therefore cause skin irritations. What are parabens doing in soap? Parabens are a common preservative found in lotions, shampoos, body wash and many cosmetics. So as they avoid bacteria to develop in liquids they are mainly found in liquid soaps. Parabens are endocrine disruptive chemicals that can influence the human hormonal system. Some Parabens have already be banned in Denmark for the use in cosmetic products for Children under 3 years old.